A series of fifty pences issued by the British Royal Mint in cupro-nickel. 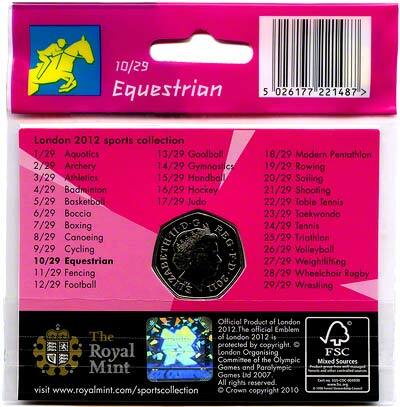 To celebrate London 2012, we've specially made 29 beautiful 50p coins depicting the sports of the the Olympic and Paralympic Games which are available for you to collect. 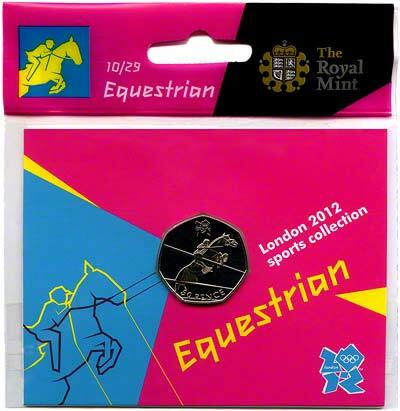 From Autumn 2010 the coins will start to appear as change in your pocket, so keep a look out! 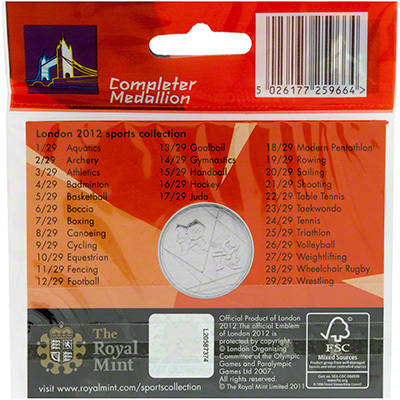 And if that's not exciting enough, we've also carefully polished and packaged each coin in the London 2012 sports collection into a really special set for you to build up into a unique and everlasting memento. Due to popular demand, we've released all 29 coins early and they're available now, so buy yours today! 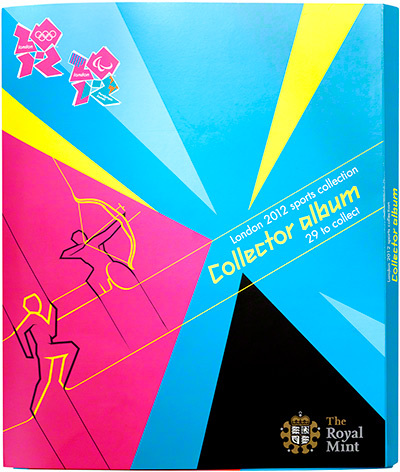 Collect your 50p's and share the fun of the London 2012 Olympic and Paralympic Games with all your friends and family! 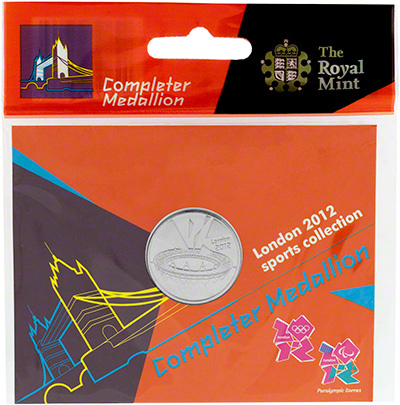 See also our British Coin Sets page.